God created marriages to last. Will yours? While no-rules-just-freedom approaches to marriage may seem good and fun, the state of marital disarray in society proves otherwise. We need an approach that leads to true freedom. Lasting Love: How to Avoid Marital Failure is biblically-grounded, time-tested advice for how to have a marriage that flourishes. How to cure and prevent marital decay. 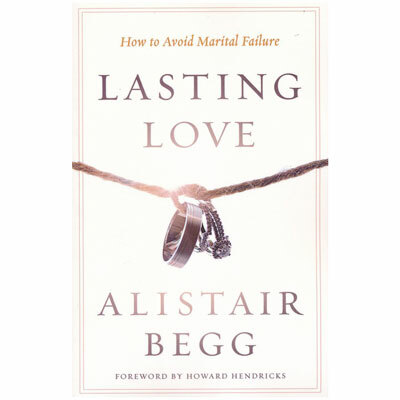 Alistair Begg (Trent University; London School of Theology; Westminster Seminary) was born in Scotland and spent the first 30 years of life in the United Kingdom. Since September of 1983, he has been the senior pastor at Parkside Church in suburban Cleveland, Ohio. He is the daily speaker on the national radio program Truth For Life which stems from his weekly Bible teaching at Parkside, and is the author of many books. He and his wife, Susan, have three grown children.